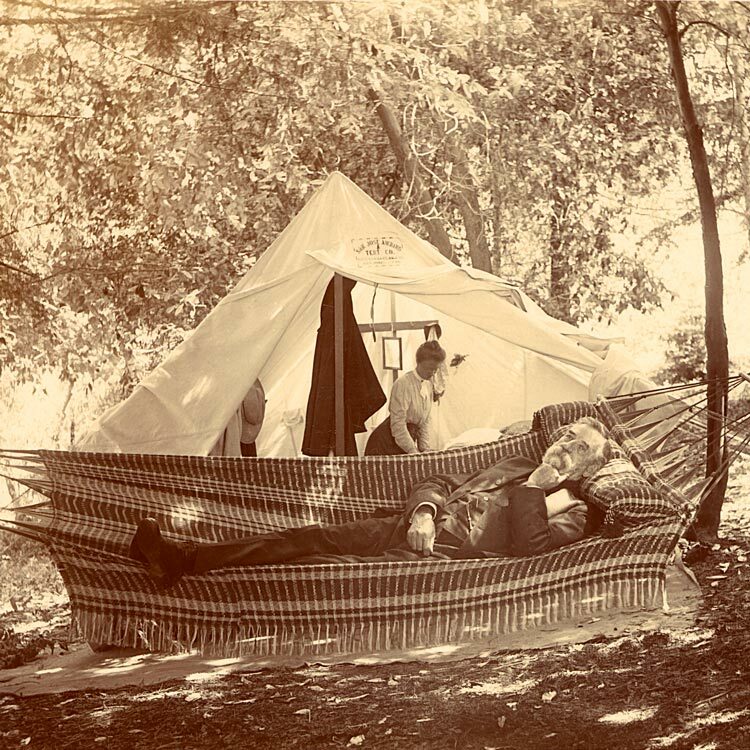 From the beginning Mount Hermon was envisioned as a place where people from all walks of life could retreat from their normal surroundings and the busyness of their lives in order to connect with friends, families, creation and the Creator. 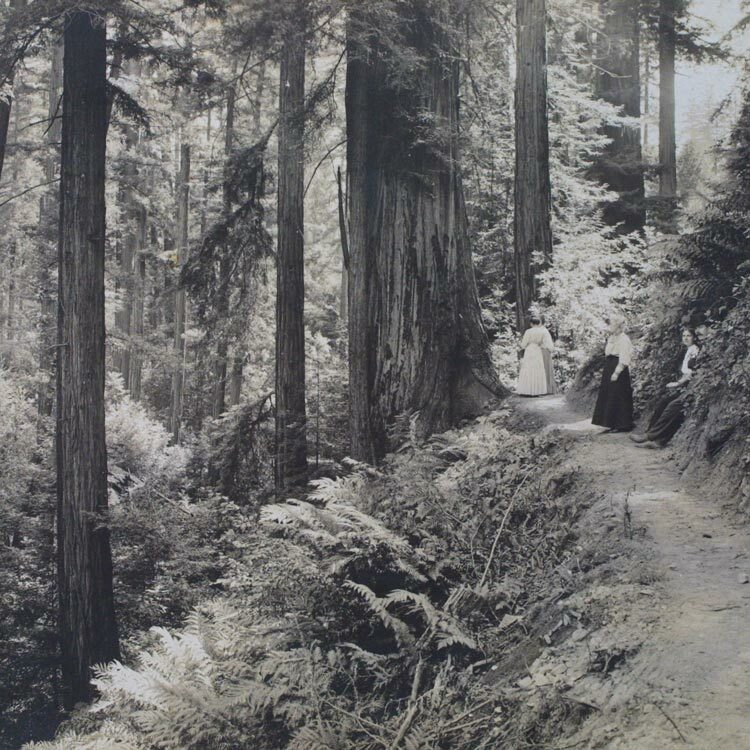 Founded as the first Christian retreat center west of the Mississippi, Mount Hermon has adhered to this founding vision for more than 100 years. Mount Hermon now operates five camp centers serving tens of thousands of guests each year. Our vision is to provide people of all backgrounds a quality, authentic and inspirational experience in the outdoors using challenge and adventure experiences. We believe that bringing groups of people together in a safe space, inviting them to try something new and exciting, and helping them reflect on their experiences is the best way to make our world a better place. Mount Hermon Adventures has grown immensely since it began and has become an internationally recognized provider of adventure experiences and team development programs. We now operate the world-famous Redwood Canopy Tours, multiple aerial adventure courses, intentional Team Building programs, and provide Mount Hermon overnight guests with mountain biking, surfing, sea kayaking, target sports, aquatic facilities, paint ball, skate park and more. It is our heartfelt desire that all our guests experience our core values of quality, authenticity and inspiration with the final goal of living a transformed life. We like working hard: doing good work with good people. Our management team has the most committed, capable, talented people in the outdoor industry. We’re excited for you to meet us and look forward to seeing you in the redwoods soon! 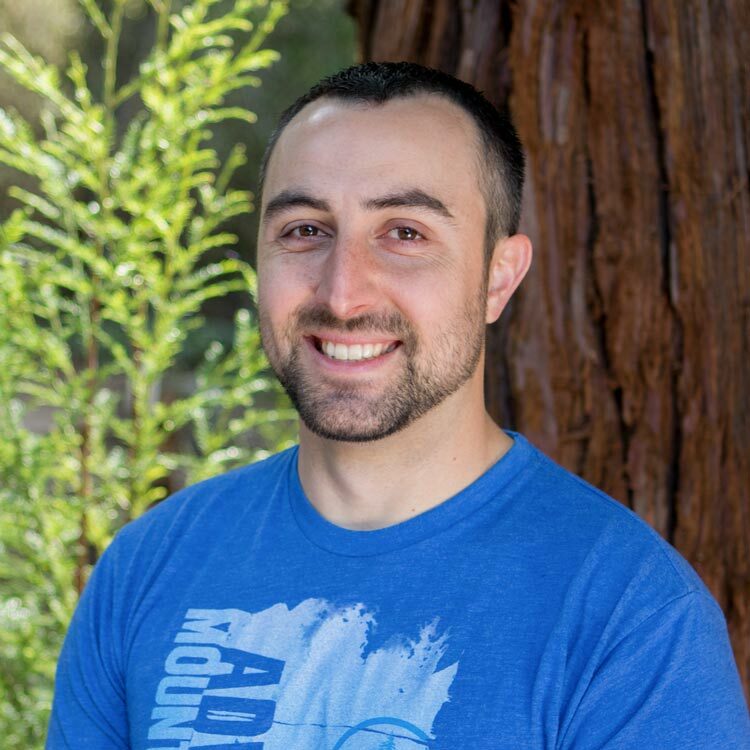 Nate has directed Mount Hermon Adventures since 2010 and is passionate about leading people through powerful learning processes and developing exciting new programs. He loves leading staff and helping them hone their skills. Nate’s motto is “work hard play hard,” which he does through cycling, surfing, and fixing things that are broken. 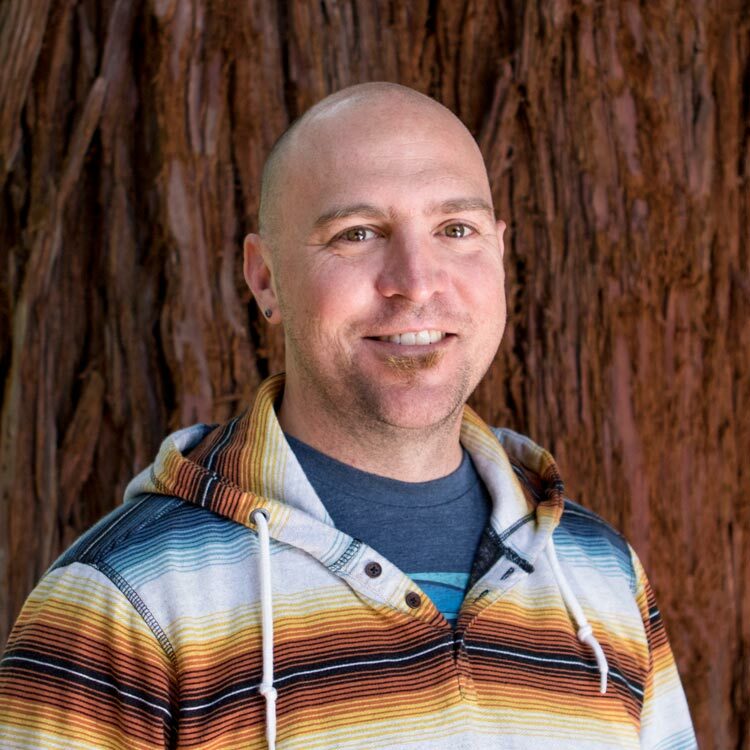 Steve came to Mount Hermon in 2013 after a decade in the outdoor industry and currently directs our adventure programs: the Redwood Canopy Tours and Sequoia Aerial Adventure. He has a deep love to see his staff learn and grow. When Steve isn’t working he’s enjoying time with his wife and three kids, cycling or eating good food. Rob has been with Mount Hermon Adventures since 2012 and currently manages our Challenge Courses and Team Building programs. He enjoys facilitating groups on our multiple challenge courses, training staff, and keeping our facilities in top shape! Rob spends his off time playing disc golf, beach volleyball, and searching for the perfect burger. 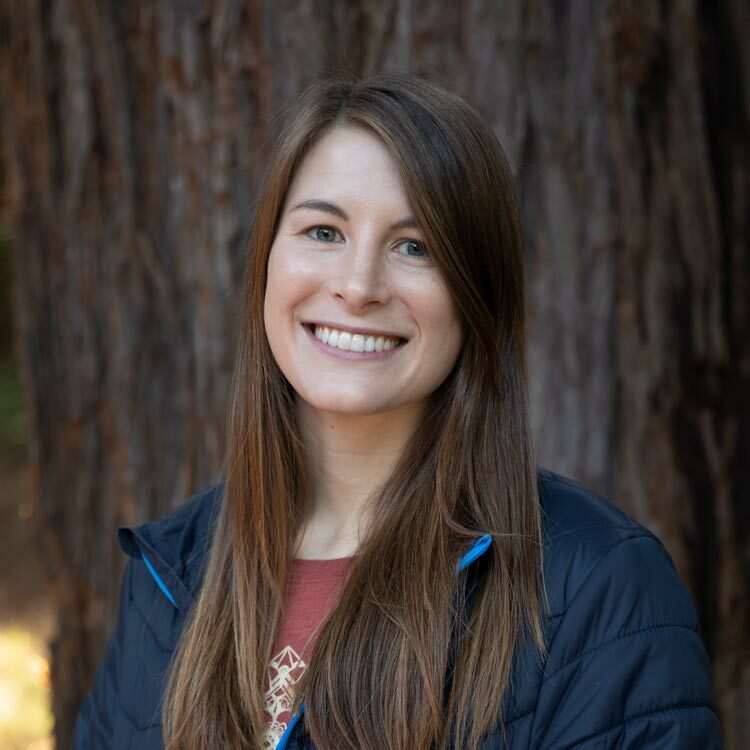 Lindsay found Mount Hermon Adventures in 2014 and was quickly recognized for her outstanding facilitation skills. She has become a vital asset and now develops programs and works with our Team Building guests. Lindsay loves elephants, outer space, whales, and making art. 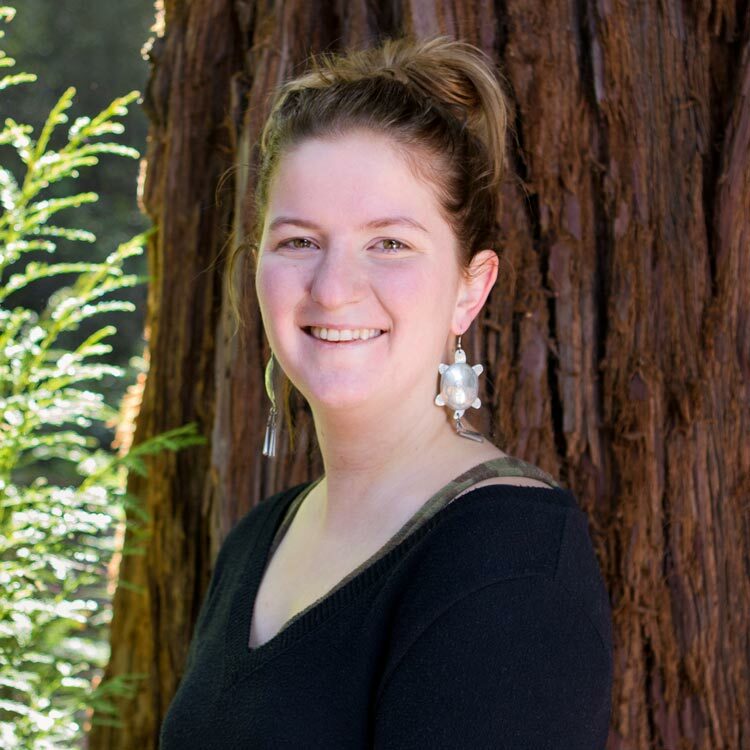 Caitlin grew up in a Redwood tree in Mount Hermon, and has enjoyed working in various roles in the Adventures department since she began as a guide in 2013. She currently oversees the scheduling and booking of adventure activities, leads the customer service team, and manages retail and merchandise for the Adventure department. Outside of work, she enjoys running, exploring new places with her husband Zac, and cuddling her cat, Waffle. 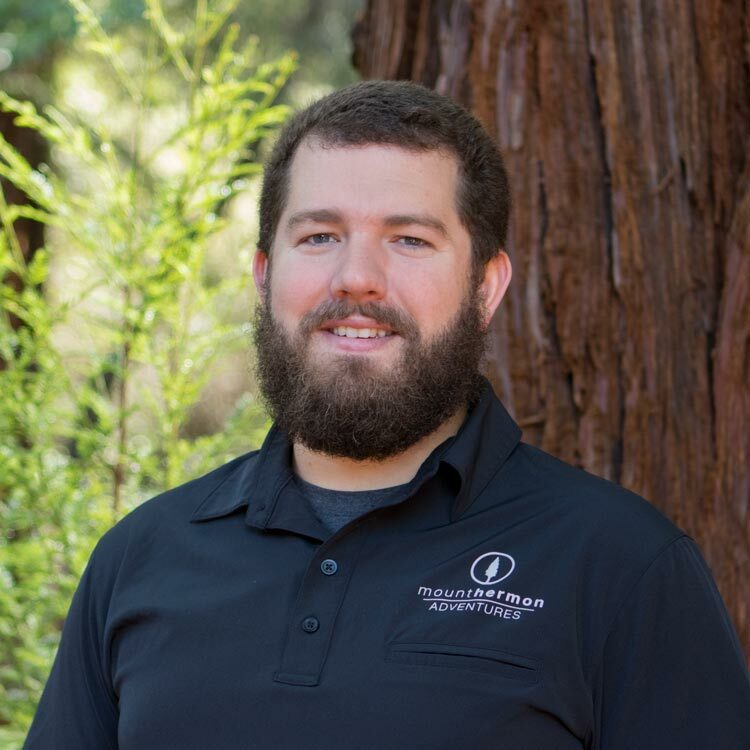 Robbie has been working with Mount Hermon Adventures since the beginning of 2015. 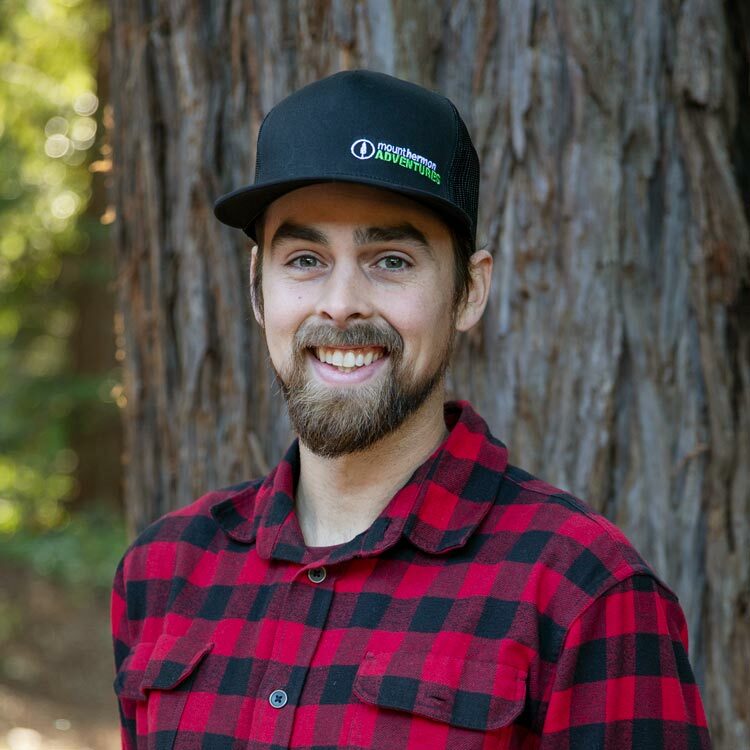 He currently manages our Redwood Canopy Tour and Sequoia Aerial Adventure. He loves working outside and helping people have unique experiences with creation. Robbie enjoys surfing, spearfishing, mountain biking, and most things that involve the ocean. Mount Hermon is a both an amazing and special place, great staff, and awesome programs. We’ve been around since 1906 and plan to be around for a lot longer. 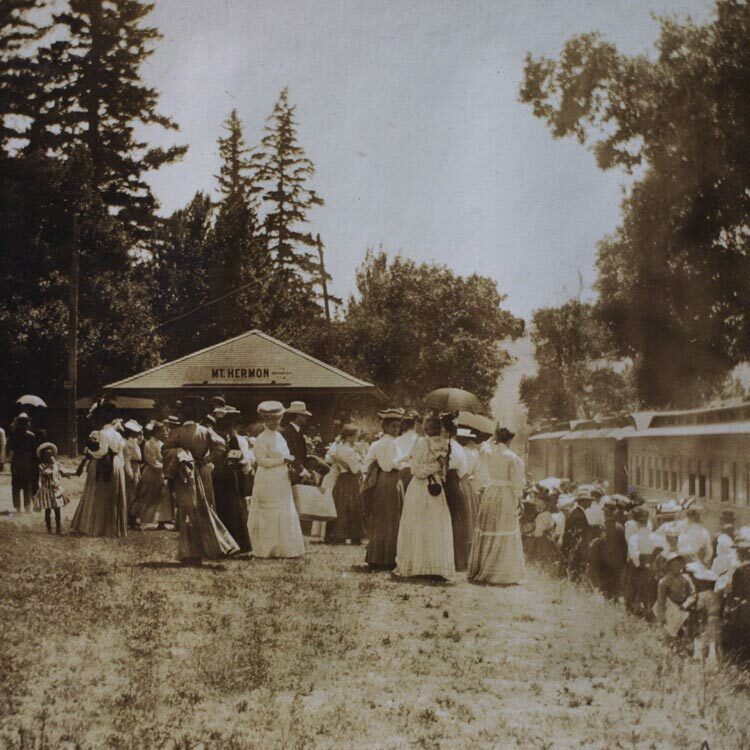 You can learn more about who we are and our history here. Oops, always best to plan ahead! Traffic on HWY 17 is often unpredictable so give yourself plenty of time. If you are running late please call us and we’ll see if we can accommodate you. If you arrive late we’ll do our best to get you on your tour, put you on another tour, or reschedule you for another time. Sadly, this isn’t always possible on busy days, and we don’t do refunds for late arrivals. It does rain sometimes in California, especially in the winter! Our programs will go out rain or shine so plan your wardrobe well. On Sequoia Aerial Adventure, the Quickjump (where you jump off the platform) will be closed when it rains. If you’re traveling without a rain jacket we have you covered, rental jackets are available for $5. Everyone has their own fashion sense, but it’s more important to be comfortable than to look fabulous. For most of our programs you’ll be outside for two or more hours, so layers are a good idea. Being in the redwood forest means it’s often foggy and cool—especially in the summer. You’ll also be in a harness so short-shorts, skirts, and tank tops won’t really work very well. Sure, but make sure you have a strap or some way to secure it. Dropping cameras from platforms high in the air tends to not work out well. We also have automated cameras on course to capture magic moments and we offer GoPro helmet camera rentals. If they did a great job and you’d like to reward their effort, the staff would appreciate a tip, but it’s not expected like at a restaurant. If you’d like to tip by credit card the desk staff can help with that. So much! Eating, drinking, nature and play options abound! We have a great list of options available in our adventure center for when you're done with your tour. Have a special need or request? We accommodate a lot of folks out on our courses; if you have a special need or request we would love to here it and see how best we can accommodate you. Please call our office or shoot us and email with a good time to get a hold of you so we can schedule your tour. Where do I enter my Discount Code or Voucher/Gift Card? Click the “Book Now” button, choose the number of guests, date and time. In the “Review Booking” under total cost find the “Have a Code?” link. Enter your code and click the green box to apply. You should be good to go! I can't get my Discount Code/Voucher/Gift Card to work. That is frustrating! Some codes are good for only certain days, times, or seasons. Double check your code to make sure it works for the time and program you want to do. If you’re still having issues give us a ring. What are your rescheduling/cancellation policies? We operate rain or shine—please come prepared for the weather. If you choose to cancel due to weather, our cancellation policy below still applies. Tours leave promptly at their scheduled time. Missed tours due to late arrival or "no show" will not be refunded. More than 7 days from a reserved tour time, cancellations or reductions in group size are fully refundable with no rescheduling fee. Within 7 days of a reserved tour time, cancellations or reduction in group size are non - refundable with a $20 fee PER PERSON to reschedule or receive a tour credit to be used for a future booking. We reserve the right to cancel the event based on severe weather. If your event is cancelled, we will reschedule you to an agreed upon date and time or provide you with a full refund. I’ve selected a date and time. Now the page won’t let me add enough people! This usually means there aren’t enough spaces available on that program. Check another time to see if there is room. The calendar won't let me select the program date or time I want. This usually means the day is booked! Great for us, sad for you. We hope you can come on another day! I’m trying to reserve for a large group of people. Awesome! If your group is larger than what fits on one tour contact our office and we’ll help you reserve multiple times. I'm trying to reserve for a child (under 18) who is not my own. No problem, just make sure their parent or guardian signs their participant agreement form. You’ll get a link during the reservation process. My child isn't old enough now, but will be by the date of the program. Phew! As long as they are old enough on the day of the program you’re good to go. A zip line Canopy Tour is the BEST way to see the redwood forest from a unique perspective—the top! You’ll wear a harness and be attached to cables strung between huge trees with a special zip pulley. Our tour has six awesome zip lines and two majestic suspension bridges for your enjoyment. Yep. We often fill up days or weeks in advance so plan ahead. If you see spaces still open online, grab them quick! Also, we don’t accept walk-in reservations. How can I make reservations for a large group (more than 8 people)? The best bet is to reserve two tour times that are next to each other. You can contact our office and we can help you as well. Our Canopy Tour was designed to be low-impact and can be shared with anyone meeting our basic criteria. If you have any concerns please talk to your doctor first. Otherwise, you need to be 10 years old, 4 foot 4 inches tall, and weigh between 75–250lbs. We can also accommodate guests with special needs with some advance planning. Contact us with questions or specific needs—we want to get you in the trees! It’s the most fun you haven’t had yet! You’ll put on a harness, have a quick training, then head out to explore 30 different challenge activities. You get to choose your own path and level of challenge. Our course also has two zip lines and a “quick jump” to get your heart rate up. Sequoia Aerial Adventure was designed to be challenging and moderately strenuous. If you have any concerns please talk to your doctor first. Otherwise, you need to be 10 years old, 4 foot 6 inches tall, and weigh between 75–250lbs. How can I make reservations for a large group (more than 10 people)?